One of my favorite episodes was when Starbuck was stranded on a planet with a cylon that he had been in combat against. The cylon had been damaged so that it did not remember its programming to kill all humans. They worked together to get rescued. I forgot how it ended. I remember that one. It was excellent. Having Dirk Benedict featured wasn't bad either. I think I recorded the audio of that one to listen to again. Didn't have a way to record the picture, but it was something. Starbuck struck me as someone who read very true given the situation. He doesn't make plans for the future or think much of the past, just the moment. He was the perfect foil for Richard Hatch's rather ernest good son. I liked both series, and the old version was rather new for tv, being so dark, but didn't stand a chance right then when the prevelant themes were 'feel better'. Even trek fit better because it had a large dose of hope. The new version was very dark and very involved with how a community would work when your running through space for your life. 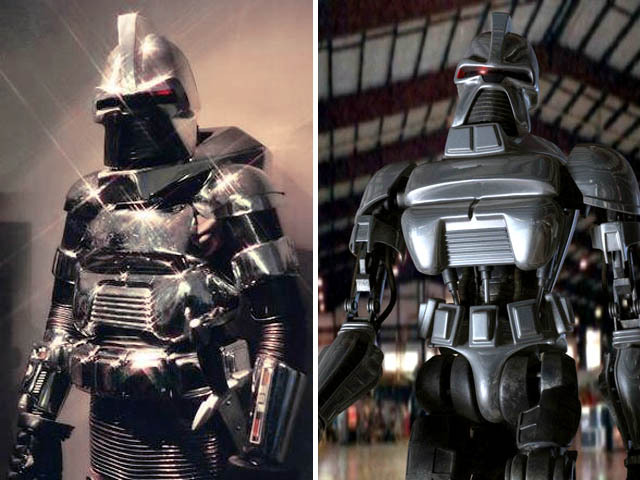 And that cylon's now look like them made a huge difference. For its time the first version was very good, but I would say that the same can be said of the new version as well. It's one of the shows I have on dvd. 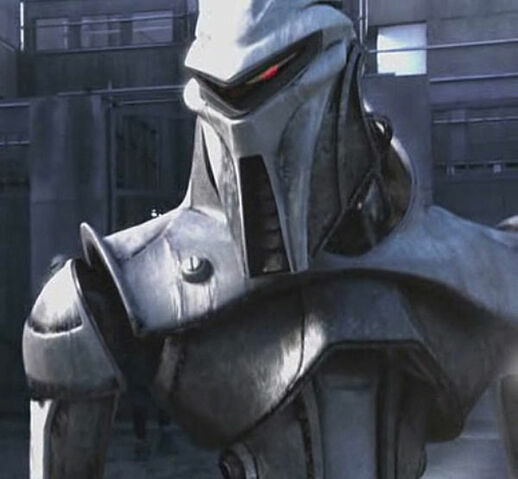 SyFy's excellent BSG reboot featured the primary humanoid Cylons (who were able to "body hop," or have their consciousness transferred to a new, identical form after death, so they could keep on keepin' on, so to speak), and they had the Cylon centurions who resembled the old school Cylons, but larger and even more robotic. None of those Cylons look like the ones I remember. They all look corny! It was great (the original one, that is). I remember watching the premier of BG back in the seventies... I was blown away by the SFX of the time. I thought - what a GREAT show. Then by the 3rd or 4th episode - after seeing the same Viper take 3 or 4 shots at the same Raider as it was climbing and banking to the right before getting hit - I got totally bored with the SFX. The same hand on the joystock repeated pressing the turbo and fire buttons. I bet they regretted hiring Herbert Jefferson Jr because it cost them an extra fee for the "black hand" on the joystick. But then at least like the others, they only had to film it once. Also from the beginning, I thought the Cylon Raiders were far cooler than the Colonial vipers. At least I can say that I did like the Galactica as much as I did the Base Stars. For all it's limits though, it was an interesting show for the few years; but is hard to watch now. As a supporter of the original series, I will admit they tried too hard to establish a culture of this Battlestar group seeking Earth, especially with the time: A "centon"? Even Star Wars used minutes and seconds as measures of time in their part of the galaxy! Came off corny everytime I heard somebody mention it. "Now hold on a centon"
The helms of the three Cylons in the Raider (middle pic) and the Cylon in the bottom pic are modeled on those from the original series. But I guess visual aids only go so far. It's no more or less dumb than "I made the Kessel Run in less than 12 parsecs." You like it or you don't. A parsec is a real unit of measure, unlike a 'centon'.